Is this really a British Airways 727? It appears to depict a Boeing 727 in British Airways livery. My first thought was that it's a Trident, but it is definitely a B727. I was a regular visitor to Heathrow and Gatwick in the 70s and 80s in my plane spotting days and I don't remember BA ever operating 727s. So, how did this 727 come to be painted in BA colours? Bonus question: which airport was this filmed at, since it's not either of the two main London airports? In the background, a Lufthansa Boeing 747-400 can be seen. Therefore, I assume the airport is a Lufthansa destination. Since the 727 is not exactly a long range aircraft, but the 747 is, my first thought would be that the airport is in Germany. I couldn't really see what livery the 737-200 in front of the LH 747 was, but soon in the take-off roll (0:10 seconds) a propeller aircraft (Dash 8?) with a South African Airlines tail appears. Then during the rest of the video many SAA tails are visible and also a number orange tails. I needed to get my first aircraft book (printed 1989) to discover that the old livery of SAA featured an orange tail. It is thus pretty safe to assume that the airport is in South Africa. That makes it quite rare for a British Airways 727 to appear there. 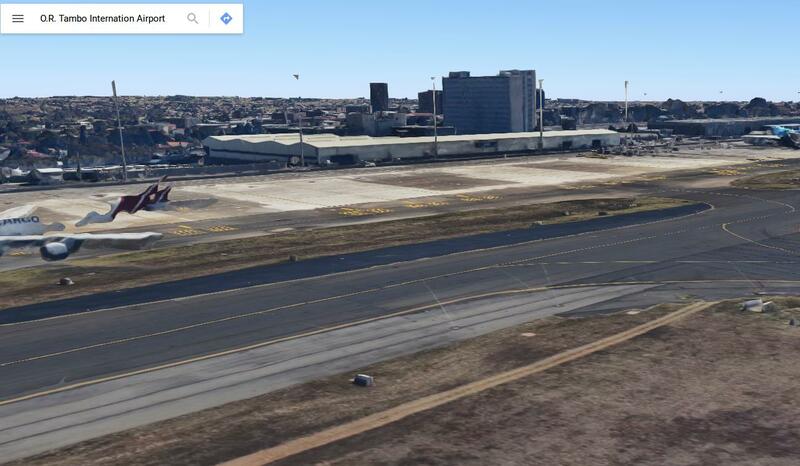 The range of the aircraft is approximately 2000 nautical miles which is a bit short of the almost 5000 nautical miles that London - Johannesburg measures. I then remembered a recent accident in South Africa involving a Comair Boeing 737-400 in British Airways livery. 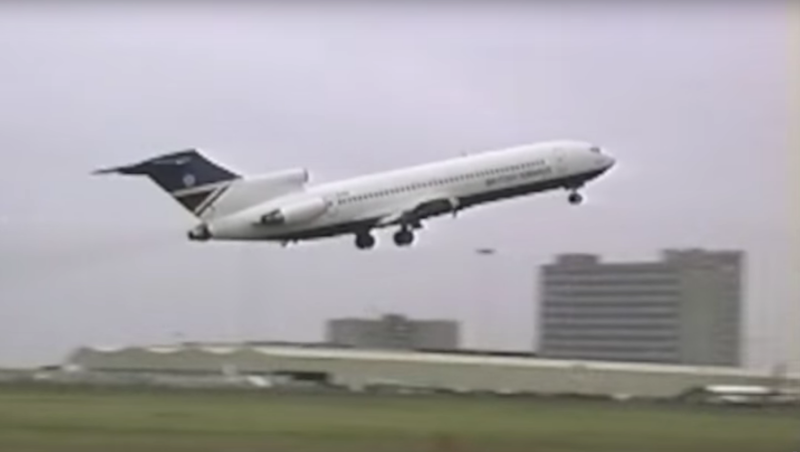 This led me to believe that this particular Boeing 727 in the video may be a Comair 727 in BA livery too. A little search turned up this picture on airliners.net, confirming that Comair indeed operated the 727 in BA livery. Not the answer you're looking for? Browse other questions tagged aviation-history aircraft-identification airlines or ask your own question. Can anyone identify this 1910s era biplane? Is this a famous aviator / airplane? What model is this strange airplane-helicopter combination? What is this abandoned plane? What is this old pusher propeller aircraft? What is this WW1 era plane? What is this c. 1930 beautiful monoplane seen in Oakland? What is this flyer in a 1911 short film? Can anyone identify the plane in this old photo? What is this aircraft from ca. 1925 (crash included)?